Hystax Acura Live Migration is a fully-automated live cloud migration solution with consistent replication of any types of workloads, ability to run unlimited number of test migrations and orchestrated launch of business applications on a target site. Hystax Acura Live Migration is fully isolated and conforms with enterprise security standards. automated live migration to any target platform – KVM, Amazon Web Services, OpenStack, Microsoft Azure, Google Cloud Platform, Alibaba Cloud. 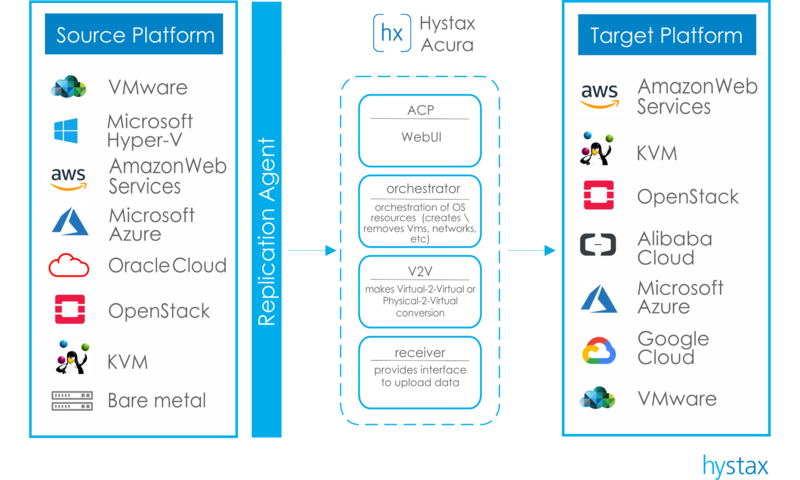 Visit Hystax Acura Live Migration to AWS if you need a fully-automated live cloud migration solution to Amazon Web Services. Hystax Acura agent calculates deltas between two consistent snapshots and sends them to Snapshot storage. Instant replication can be done just after a backup is completed, no additional preparations required. Hystax Acura provides you with powerful and flexible Migration plans which contain all necessary information to recreate your original production workloads. 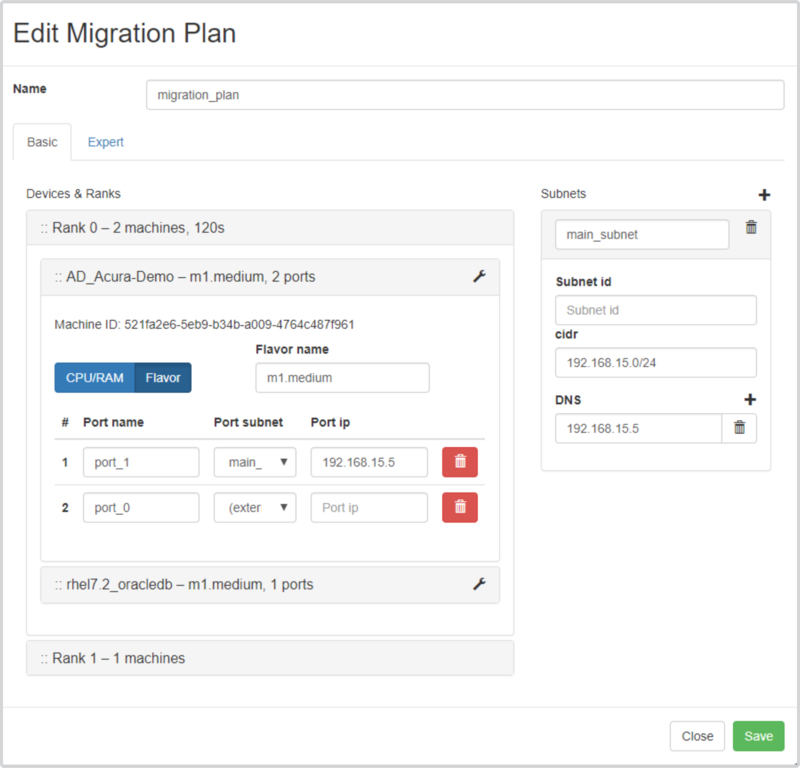 Migration plans are generated automatically based on replicated infrastructure, you just need to revise it. Hystax Acura supports cloud orchestration and recreates infrastructure in a pre-defined order. To get more details on product features and capabilities download Hystax Acura Live Migration WhitePaper.